We help health authorities address challenges regarding the logistics of biological specimens and the biobanks that store them, as well as on matters of epidemiological surveillance and the formation of laboratory networks. A global concern since the Ebola epidemic in 2014, surveillance and warning systems are a key area of interest for our Foundation. To that end, we are supporting a major line of development: the implementation of specialized digital systems that enable data to be shared quickly and reliably. In Senegal, we are part of the I-Lab project, which aims to use automated data collection to improve epidemiological monitoring and surveillance. A critical link in the diagnostic chain, the transportation of potentially pathogenic samples is a regulated activity that must be carried out in strict biosecurity conditions. We work to help health authorities set up secure processes, and offer a range of courses and awareness raising programs. These span the logistical management of samples, handling techniques, safe destruction and storage of samples, as well as prevention and safety for laboratory staff. In 2014, through the RESAOLAB network, we provided secure sampling kits, and training in how to use them, to certain West African countries affected by the Ebola epidemic, as well as in bordering countries. Personal protective equipment (safety suits, gloves, visors, and masks) were also provided. 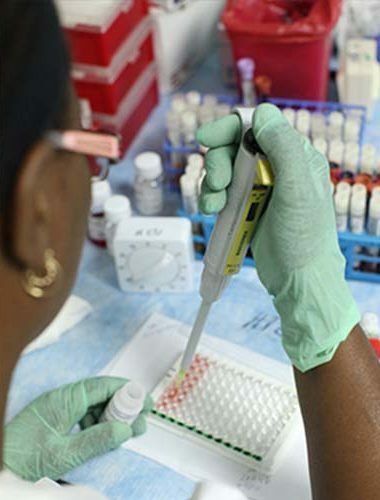 A free system for shipping samples to the BSL4 Jean Mérieux-Inserm Laboratory in Lyon was set up for countries which could not perform Ebola screening locally. The LABOGUI project is designed to strengthen 30 Guinean laboratories and renovate the National School of Health. 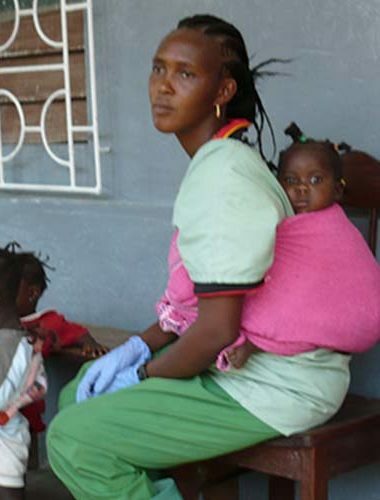 The SPHaïtiLAB project aims to support the National Public Health Laboratory and develop a national laboratory policy to improve health in Haiti.